Yesterday in STOMP, Singapore's No. 1 gossip website, someone raged about an express stream student who called normal stream students dumb. Of course, he was quickly reprimanded and accused of having an elitist mindset. This was not the first time something like this has happened before, mind you. 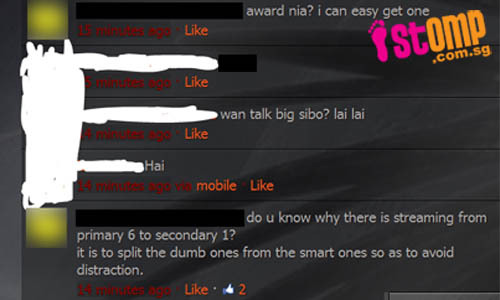 Just a few weeks ago, a Temasek JC student lamented on why ITE students get to enjoy better facilities when JC students are the ones who become the leaders of tomorrow. He too, was accused of being elitist. Why do some students act in such a stereotypical manner? Why is there a common thinking that dictates that if you're not in the best classes, you're automatically not as good and even considered as second class? While some blame the students, I personally think that the education system is at fault or more specifically, the streaming aspect of it. While proponents of streaming argues that it is good because it allows the teachers to focus specifically on the students strengths, ie the teacher can plan the syllabus accordingly, like giving more challenging work to gifted students, I on the other hand think that streaming does more harm than good and if taken to the extreme, can be seen as a form of eugenics. When you divide students according to their "intelligence" rather than allocate them equally without bias, you attach a label to each and every student. Instead of thinking of each other as equals, students are made aware that they are different than each other. Groups are created, a divide is formed. There's a group of students that are believed to be gifted while the rest are not. And when you're in the gifted group, naturally a sense of superiority would set it. This is the basic human mechanism. When we are in a group, we would naturally attribute more positive qualities to our group while doing the opposite for the out-group to preserve our sense of self esteem. The lack of mingling with the out group, as you are in different classes, help to prevent any form of cooperation nor friendship between the two groups of people. In contrast, it would help to further strengthen your stereotypes as you do not have an opportunity to get to know the other group. In a sense, by dividing the students according to their "intelligence", ie grades in exams, educators are indirectly giving students a tool in which they can discriminate against others, just like how skin color or gender can be used to discriminate. I think Jane Elliot highlighted it best through her "Blue Eyes and Brown Eyes" experiment. Not only does categorization indirectly promotes prejudice and discrimination among the students, it also hinders the progress of the students in the non-gifted stream or the normal stream through the widely documented phenomena known as self fulfilling prophecy and stereotype threat. To put it in a nutshell, both stereotype threat and self fulfilling prophecy works in one way which is making students who are considered to be not as good live up to the label attached to them. For example, female students not doing as good in a math test as compared to their male counterparts. Or black students not performing well in exam. In one of the famous experiments that I always read in my Psychology textbooks is how teachers themselves are shown to be discriminatory when labels and streaming are evoked. In a perfectly normal class, researchers randomly allocated half of the students to one group and labeled them as gifted while the remaining were labeled as normal. They then told the teacher of the class, or rather lied to her, that the gifted students were chosen based on some tests that they have done and they are most likely to succeed in exams as compared to the normal group of students. As you can see, the key variable here is the teacher, as there were no real tests that were done and the label "gifted" was assigned randomly. After a period of time, the researchers returned to the class and found that the "gifted" students had indeed performed better in exams. However, it was not because the students were gifted intrinsically, but rather it was the teacher who paid special attention to the student thinking that they were really gifted. Students in turn would act in ways according to the teacher's behavior. Those who were given special attention would work harder which in turn translate in better results which reinforces the teacher's stereotype in one dangerous cycle. 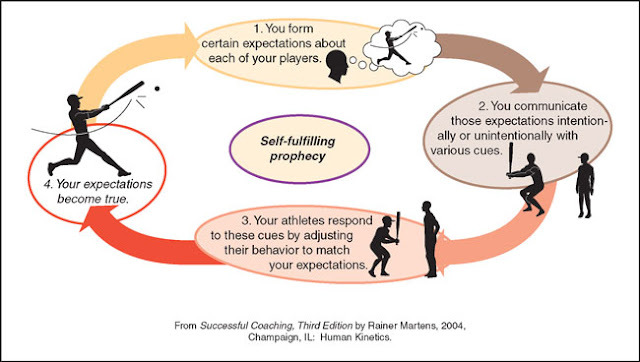 The result of this experiment has been shown to be pretty robust and has been replicated many times before, showing that self fulling prophecy is indeed a concrete event. Taken into everyday context, teachers would choose to give attention to smarter students and tend to forsake the weaker students, which is quite unfair if you ask me because as a teacher, you are supposed to treat every student equally. I'm sure you have come across a lot of cases where teachers simply gives up on the weaker classes thinking that they could not be changed. 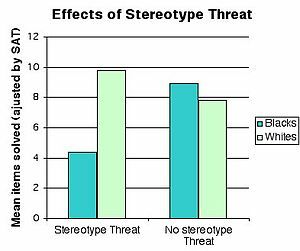 And then there's the stereotype threat too. Researchers have shown that when made aware of the stereotypes surrounding us, we would tend to act in accordance to the stereotype rather than oppose it. For example, in one experiment, African Americans have been shown to perform worse in exams when they are told that African Americans normally do badly in exams as compared to the whites. In contrast, African Americans who were not told the stereotype did equally well as compared to the whites. The only difference is whether you're aware of the stereotype or not. Class streaming in a way works wonders in telling you your stereotype and therefore reinforces the stereotype threat phenomena. 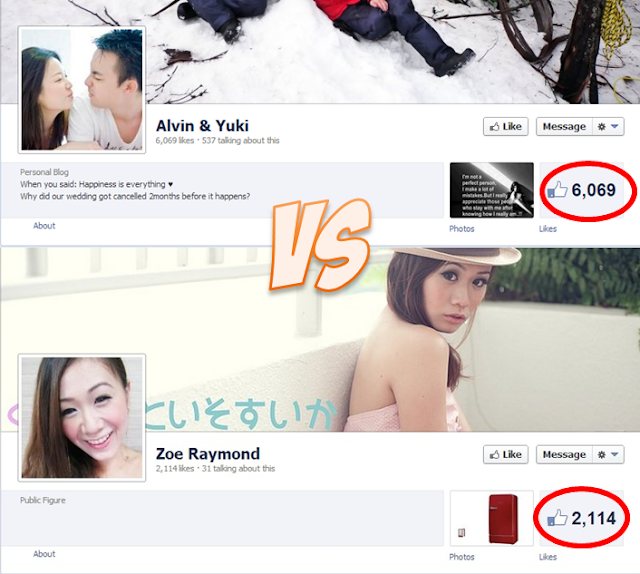 All in all, no matter how you look at it, I think class streaming in schools do more bad than good. People might disguise it as helping students who are gifted but in essence, it's the milder version of eugenics. It helps a certain group of students to succeed and discriminate against the others. Faced with prejudice, self fulfilling prophecy and stereotype threat, the weaker students have little chance to fight back. Once you've been labelled, the gap between you and the others would only widen throughout the years. Even if you want to fight back, it would take enormously large effort for you to succeed as compared to the better students with so many odds piled up against you. I grew up in a school that did not believe in streaming. Students were divided into different classes irrespective of their abilities and talents. There were no better or smarter classes among the 10 classes for each form. Everyone was equal. And frankly, problems that streaming advocates are so scared of did not happen. Smart students did not get left behind, in fact, they manage to do pretty well, seeing how some are in UK and Australia now and there were no problems of teacher discriminating against students or do not want to teach on the excuse that the class was not worth teaching because every class had good and bad students equally. Students learned to mix with each other and favoritism among teachers were only limited to an individual basis. There was simply no smart students group in my school. The top 10 students of each form is dispersed among each class and not limited to only the first class. And frankly, things turned out pretty well in my school. I turned out to be pretty fine too. Though discrimination can still happen, at least it is not institutionalized in the system. And it is on a much smaller scale too. Which is why I have always hated the idea of streaming in schools because it promotes inequality and if one school can practice non-streaming, why can't other schools too? Without any real factual backings, I think sometimes streaming might just be an economical act, where good teachers are scarce and good students are scarce. Putting them together is just a way to maximize output. Of course the assumption here is that the test/exam to determine whether a student or teacher is deem "good" is mostly accurate.